DH requested a “beef mexican dish” for dinner, and this recipe from Pennies on a Platter fit the bill perfectly. Nikki has some great recipes, so check out her site! Little did I know that I was about to encounter the best Mexican shredded beef I’ve ever had. This beef is phenomenal. Even if you don’t make this into chimichangas, make the beef. Put it in tacos, burritos, enchiladas, on top of nachos, whatever. It’s amazing. This was also my first time cooking with chipotle peppers in adobo. I know…I was a little late getting on that ship. Delicious, flavorful, and quick thanks to the crockpot beef and mere seconds in the frying pan, this is a great meal! Enjoy! choice of toppings – lettuce, salsa, guacamole, sour cream, etc. Combine the spices in a small bowl. Rub into the beef, covering all the nooks and crannies and each side evenly. In a large skillet, heat 1-2 tablespoons olive oil until shimmering. Sear the meat on each side, using tongs to flip it. 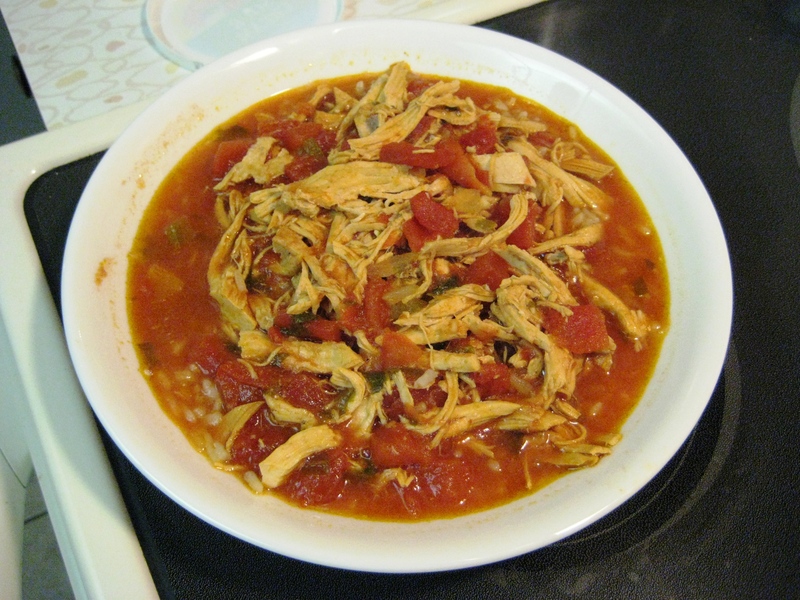 Remove and place in the bottom of a large slow cooker. With the skillet remaining over the heat, deglaze with the beef stock and scrape up any brown bits. Whisk in the tomato paste and chipotle peppers. Once sauce comes to a boil, reduce the heat and simmer for a few minutes until slightly thickened and reduced. Meanwhile, add the onion and garlic to the top of the beef in the slow cooker. Carefully pour the sauce over top. Cover and cook on low for 6 to 8 hours. Once the meat is fork tender, remove and shred with two forks. Pour a portion of the sauce, including the onions, over top of the meat and let soak to enhance flavor. Heat 3-4 tablespoons olive oil in a large skillet over medium-high heat, until shimmering. While waiting for the oil to heat up, warm the tortillas in the microwave for 10 – 20 seconds. Fill with a few tablespoons of shredded beef and about 1/4 cup of shredded cheese. 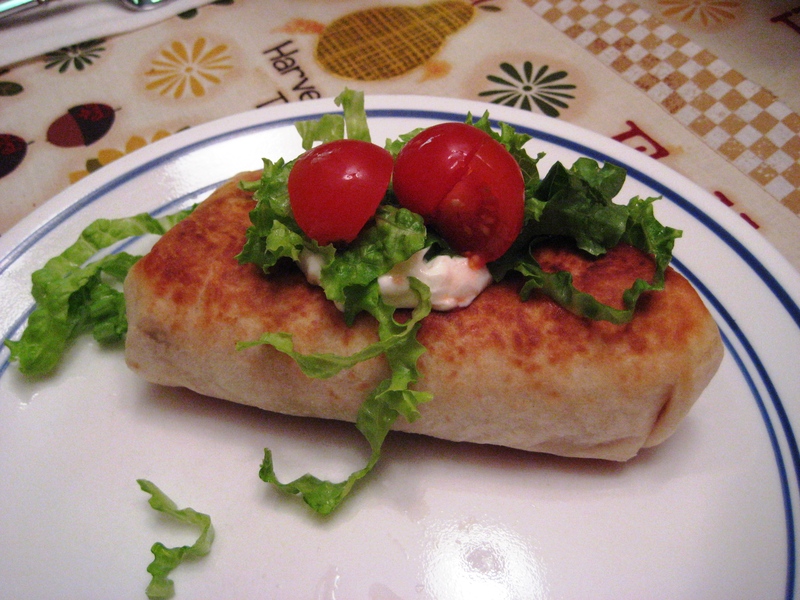 Roll the tortilla into a burrito shape. Once the oil is heated, place the burritos (2-3 at a time) into the skillet and brown on each side until golden. Start with the seam side down first. Place on paper towel lined plate to drain any excess oil. Serve with desired toppings. 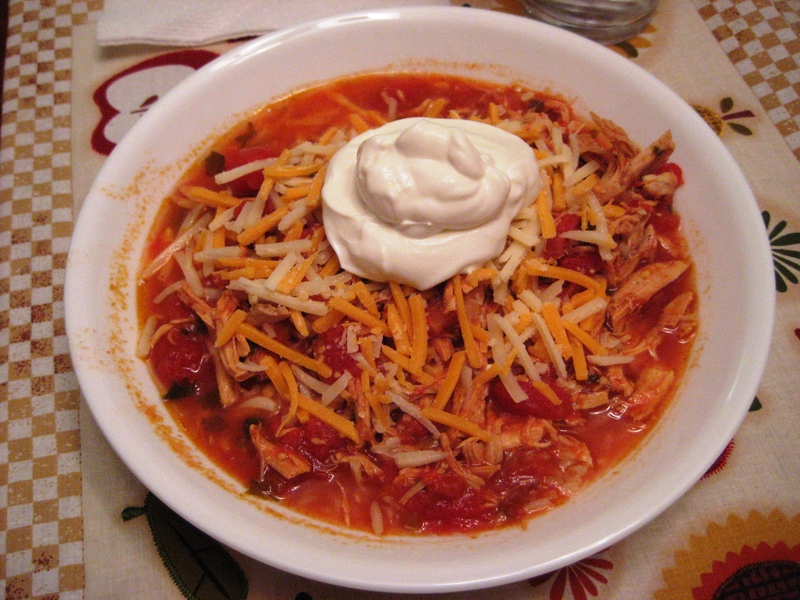 This was a delicious and easy crockpot soup! I got the recipe from my co-worker, and am posting the original below, along with my changes.